Considered to be true long life elixirs, Goji berries have been consumed for centuries by the people of Tibet and Mongolia. These small red fruits, as well as being considered a delicacy, have always been a pillar of Traditional Chinese Medicine . In his work Pen Ts'ao Ching, known as one of the first written testimonies on the use of herbs Nung writes: " Goji berries nourish and strengthen the body giving strength and vitality, help the flow of body fluids, soothe the spirit, refresh and regenerate skin and eyes ". Even today, the berries are used in China in traditional medicine as fresh or dried fruits such as juices and teas and in the preparation of soups, soups and sauces. 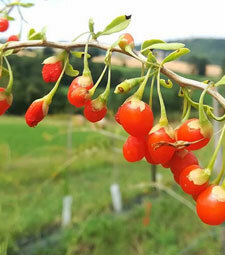 Given recent discoveries about the beneficial properties of these fruits, in recent years the consumption of Goji berries has grown exponentially here in the West. We try best to understand why these berries are considered so precious. Goji berries are the fruits of a spontaneous shrub of Tibetan origin, belonging to the Solanaceae family, whose name is Lycium barbarum . It is a perennial deciduous plant, native to the Asian highlands of China and Mongolia . The fresh berries are bright red in color, slightly round in shape, very soft and sweet, vaguely reminiscent of strawberry and berries. 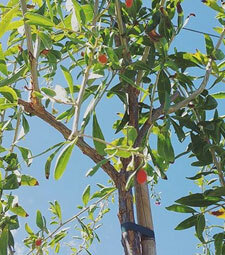 The largest cultivations of Goji plants ( Lycium barbarum and Lycium chinense ) are found in China, in the provinces of Xinjiang and Ningxia and in the province of Qinghai, in the north-eastern part of the Tibetan plateau. In Tibet, where Goji berries are considered true "fruits of longevity", each year a celebration of thanksgiving is celebrated in their honor for several days between music and dance. Given that many of the populations that make extensive use of Goji berries are among the longest in the world , researchers in the West have decided to study their properties more closely, eventually making important discoveries. Currently there are more than 1,000 published studies, many of which are freely available on Pubmed . Thanks to these studies we know that Goji berries possess healthy properties, which few other foods in the world can boast. Not surprisingly, referring to Goji, we often talk about " superfood ", or a food with nutritional values ​​out of the norm. One of the virtues that most distinguishes them is the exceptional anti-age power, or the ability to combat cellular aging . However, by continuing reading, you will find that this is just one of the many benefits of consuming Goji berries. In Goji berries we find more vitamin C than oranges and more vitamin A than carrots. In addition we find B vitamins (B1, B2, B3) and others in traces. As for the mineral salts we find calcium, potassium, iron, zinc, selenium, phosphorus, manganese, copper, chromium, germanium and other traces, 18 different amino acids (essential and non-essential), sterols and fatty acids, betaine, flavonoids and carotenoids (including beta-carotene, zeaxanthin, lutein and lycopene). The Goji berries also contain four unique polysaccharides in the world with anti-regenerative properties , which are probably the most precious feature of this fruit. It is thanks to these 4 LBP (Lycium Barbarum Polysaccharides) that the Goji has the capacity to support and strengthen the immune system . 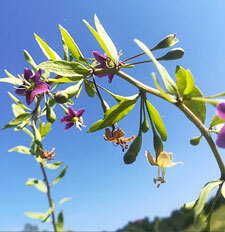 Today, most of the studies and scientific research carried out on the Goji, are focusing precisely on these four unique polysaccharides in the world. What are Goji berries for? We see below all the properties and benefits of Goji berries . Their undisputed anti-aging power is one of the main reasons why today Goji berries are so famous and sought after. This fact is due to the incredible wealth of antioxidants . Antioxidants are very important for protecting us from the harmful action of free radicals . They are waste products that are formed inside our cells. They are the main cause of oxidative stress and have numerous harmful effects on our body. They are in fact responsible for numerous cardiovascular, degenerative and aging diseases . The antioxidants contained in fruits and vegetables are the main antagonists of free radicals. That's why it's so important to take it in abundance every day. Among the many antioxidants, selenium is undoubtedly one of the most appreciated by nutritionists, so as to be nicknamed "the antioxidant mineral." This trace element performs its main action by preventing cell damage from the effects of free radicals. It also acts by stimulating and improving the action of the thyroid hormone T4 and supporting the immune system. Goji berries have an unusual high concentration of selenium : on 100 grams of berries we find 50 mg of selenium, or almost 100% of the recommended daily dose of RDA. Hardly such a quantity can be found in other natural foods of plant origin. The ORAC ( Oxygen Radical Absorbance Capacity ) test is a recent method that evaluates the antioxidant power of food . Each of them is assigned a growing ORAC score. 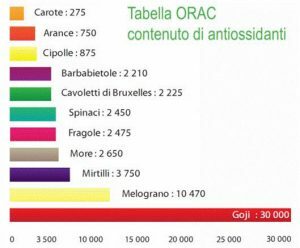 According to the researchers who have developed this test, the daily levels of antioxidant substances in our body should remain between 3,000 and 5,000 ORAC. Goji berries have a value of more than 30,000 ORAC , much higher than that of the best known foods for antioxidant properties, such as blueberries and pomegranate. 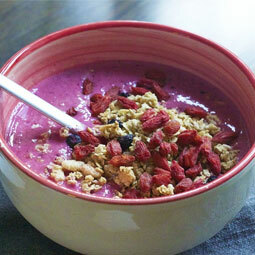 Goji berries are very useful for improving the body's immune system . This means that they are useful allies in preventing and fighting infections and cancer diseases. Let's see why the Goji berries are so effective. Goji berries contain a considerable amount of organic germanium, a trace mineral that is rarely found in the same quantities in other foods. Organic germanium is very useful for our body because it is able to stimulate innate and specific immunity. It is also effective in the fight against cancer, as it stimulates the NK ( Natural Killer ) or those cells of the immune system used to kill the cancer cells and cells infected with viruses. Goji berries contain 4 unique polysaccharides in the world called LBP (Lycium Barbarum Polysaccharides).Numerous scientific studies have attributed to these polysaccharides the ability to increase the number of white blood cells (lymphocytes), in addition to enhancing the ability of phagocytes to defend the human organism from pathogens. Again with regard to LBP, some tests carried out on laboratory mice have shown that they show a high antitumor activity and that they are able to inhibit the growth of neoplastic cells [ 1 ]. Finally, Goji berries contain considerable quantities of selenium and vitamin C, both substances with a powerful immunostimulant, as well as antioxidant. Mercury is the most harmful heavy metal found in nature, and unfortunately, more, some less, almost all of us are exposed to its toxicity. Just think that dark dental amalgams, still legal in Italy (not in other European countries where they were banned), are largely composed of mercury. Mercury intoxication can lead to damage to the central and peripheral nervous system, as well as acting negatively on the heart, kidneys and the immune system. Well in this case Goji berries can be of great help. In fact, selenium , present in large quantities in these red fruits, is the main antagonist of mercury . Within our organism, selenium, when it comes into contact with mercury, reacts to form mercury-containing, an inactive salt easily eliminated from the body through the urine. Not only that, thanks to its antioxidant action, selenium also helps to decrease the damage that mercury causes to the nervous system . If you have problems with mercury I suggest you consume a lot of garlic , another excellent source of selenium. In Goji berries there are no less than 11 different types of carotenoids (beta-carotene, alpha-carotene, lycopene, etc.) and 7 substances similar to carotenes such as zeaxanthin, lutein and beta-criptoxanthin . Carotenoids play a very important role in eye health, helping us to prevent eye diseases . Not only that, the carotenoids are also protective against mucous membranes, reduce the onset of infections, are powerful antioxidants and make the skin smooth and elastic. The zeanxanthin and lutein , present in the macula, the central region of the eye that allows us to have a clear vision . A greater contribution of these two carotenoids allows to shield the macula from the external action of UV rays. Beta-criptxanthin , on the other hand, is a great ally for the prevention of glaucoma , a disease of the eyes. By virtue of their antioxidant properties and the richness of carotenoids, which perform a protective action on external agents (such as UV radiations), Goji berries are a powerful ally also to keep the skin young and healthy . The results show that drinking goji berry juice increases protection against free radical damage from the sun. Goji provides additional photoprotection for people who are susceptible to skin cancer and other skin disorders. It is no coincidence that Goji berries are also widely used in cosmetics for the preparation of creams and anti-aging lotions . Goji berries contain three times more iron than spinach , a characteristic that makes it a perfect natural supplement for those suffering from anemia . In fact, iron is fundamental for the synthesis of myoglobin and hemoglobin, a globular protein that plays the role of oxygen transport and whose deficiency can cause physical and mental fatigue. You must know that 100 g of goji contains 9 mg of iron , while the same amount of spinach contains only 2.9 mg.
Goji berries contain organic chromium , a micronutrient able to improve the metabolism of carbohydrates, enhancing the action of insulin and regulating the glycemic values . Several studies [ 5 ] have shown that the presence of organic chromium can help prevent hypoglycemia and diabetes, caused by excess insulin and insufficiency, respectively. However, it must be said that Goji berries, like all the dried fruit, contains high levels of sugars (particularly fructose), so consumption, especially among those already diabetic, should always be moderate. In particular, nutritionists recommend avoiding the consumption of fruit, sugars and carbohydrates, after 17:00, as our metabolism starts to slow down in the evening. The best time to consume fruit is in the morning, at breakfast . Goji berries make you lose weight? Chromium is a very important substance to promote the process of weight loss , as it regulates blood sugar levels and causes a decrease in the sense of hunger. Once again, however, I want to dispel a false myth: Goji berries alone are not enough to lose weight . Indeed, if taken in the wrong way (for example at dinner), it is easy to encourage weight gain, since they contain many sugars. To lose weight there are no miraculous remedies, instead a healthy physical activity and a balanced diet are essential. Goji berries are also used in Chinese Traditional Medicine to promote and improve fertility in both men and women . In fact, it is believed that Goji is effective in increasing the number and vitality of sperm in humans . It is also believed that the benefits of these red fruits also include the treatment of female infertility in patients with premature ovarian failure and with an inability to ovulate normally . The best time to eat these berries is during the first part of the day and especially at breakfast, when our body needs more energy and therefore sugar. It is instead wrong to consume the Goji, like any other fruit, during or immediately after meals. Moreover, since it is a food rich in sugars and in particular fructose, consumption is not recommended after 17.00, when the metabolism slows down. In fact it is now established that our body struggles to metabolize carbohydrates and sugars after this time, so eating carbohydrates after this time band tends to make the blood sugar rise much more and therefore promotes weight gain and the appearance of diseases metabolic disorders (hypertension, diabetes, hypercholesterolemia, etc.). There is no written rule on the daily dosage of Goji berries. Nutritionists generally recommend not to exceed three tablespoons of berries a day. Personally I eat them in the morning as they are, sometimes alone, sometimes mixing them with a soy yogurt and flax or hemp seed, or with a cup of almond milk . But nothing prevents you from trying other combinations, mixed in fruit salad with other fruit, or to make smoothies and smoothies. 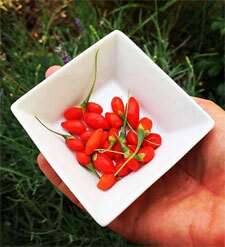 Goji berries can also be used to make delicious herbal teas. To prepare a Goji herbal tea just leave in the boiling water for 10 minutes the amount equal to a teaspoon of goji. Finally filter and drink the hot or warm tea. If you do not find them attractive and you want to soften them a bit , I suggest you let them soak in water for 10-15 minutes . 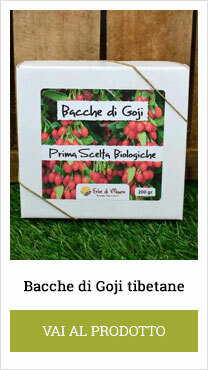 Our farm has chosen for you the best that is on the market: Tibetan Goji berries of biological origin , harvested by hand and dried naturally in the sun. Why are the Tibetan Goji berries the best? The Goji berries of Tibet cultivated in Qinghai province can be considered the best because they are grown in one of the last natural paradises. In this territory we find the highest mountains, the glaciers from which the most important rivers of Asia come to life and extreme thermal excursions (over 20 ° between day and night). Glaciers melting, over the millennia have enriched the soil with nutrients; the salt lakes make the soil alkaline and particularly suitable for the cultivation of Goji; the strong thermal excursions cause the plant, as a form of defense, to develop the polysaccharide sugars that are unique (LPB1, LPB2, LPB3, LPB4) and that we find only inside the Goji berries. 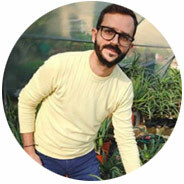 The high altitude of the territory minimizes the presence of pests and diseases that can affect the plant and finally, always for the compliance of the territory, the daylight lasts much longer than in other areas, making the berries develop more sugary substances and are therefore sweeter. To people allergic to Solanaceae (for example peppers, tomatoes, etc.) family that also includes Goji. Those who suffer from diabetes or hypertension should at least moderate their consumption because it is always a food rich in sugars (sugars increase both blood sugar and pressure). A good rule is to just eat them in the first part of the day. In any case, if you have any doubts, always ask your doctor beforehand. Can it be consumed during pregnancy and lactation? Currently there are no reliable data on the use of Goji berries during pregnancy and lactation. When in doubt, it is always better to ask your doctor for advice.